Relegation-threatened Wigan Athletic play host to Championship table-toppers and champions elect Norwich City at the DW Stadium on Sunday afternoon. Read on for our reasoned Wigan Athletic v Norwich City betting predictions for this matchup below. A bore draw perhaps? The Latics are just one place and two points clear of the bottom three going into the weekend’s fixtures and will be desperate to put some further distance between themselves and Rotherham United. 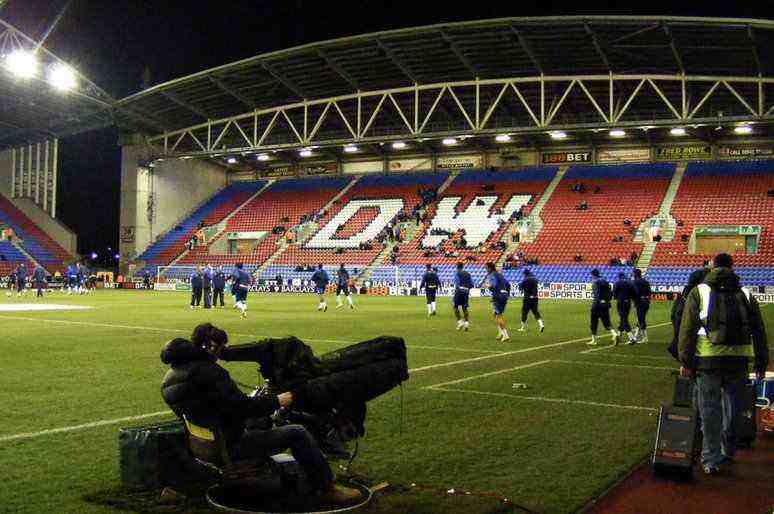 Despite their struggles, Wigan have lost only four of 20 league games at the DW Stadium this season. The Canaries probably only need a point a game from their remaining five fixtures to be more or less assured of Premier League football next season, so a win at Wigan would go a long way to securing that. With just two league defeats on the road all season, Norwich have been superb on their travels this term. So it’s tomorrow at Wigan for Norwich City – while Sheffield Utd and Leeds host Millwall and Sheffield Wednesday respectively. The Match Result betting odds sees Wigan at 10/3 with bet365*, the draw is 29/10 with Betfair and Norwich are 5/6 with BetFred. In the Match Result & Both Teams to Score (BTTS) market, the Draw is available at 15/4 with BetVictor. Alternatively, the ‘Match Result & Over/Under 3.5 Goals’ market has ‘Draw & Over’ available at 9/1 with Coral. On the Asian Handicap, Wigan +0.5 are 12/11 with BetVictor, which equates to a winning bet provided they avoid defeat. A 2-2 draw is on offer at 13/1 with BetVictor in Correct Score betting, while Teemu Pukki is 5/4 with Paddy Power in the Anytime Goalscorer market.